The Forge Suffolk Latch can be used for securing gates or doors where access is required from both sides. The gate latches from the outward opening side and will latch when pulled closed. 1. Draw a 25mm vertical line approx 150mm from shutting door edge and drill a row of Ø6mm holes closely along the line. Use a chisel to join the holes making a slot. 2. Fit the handle to the inside of the door so that the thumb bar sits vertically. 3. 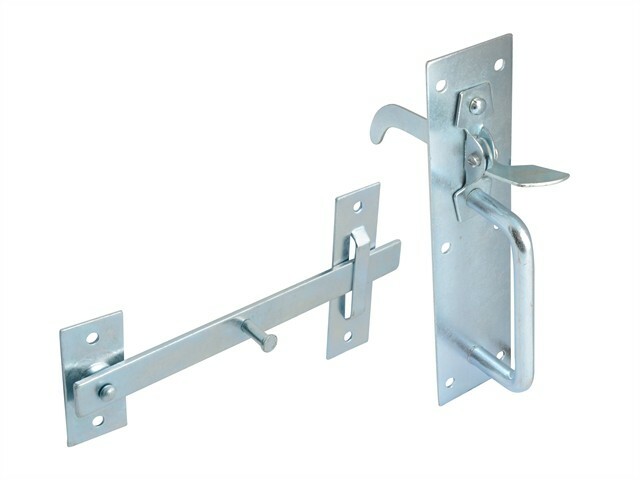 Position the latch bar so that it sits horizontally on the thumb bar and hangs over the door edge by 30mm. 4. Position the keep so that the latch bar settles at rest when located and screw to frame.